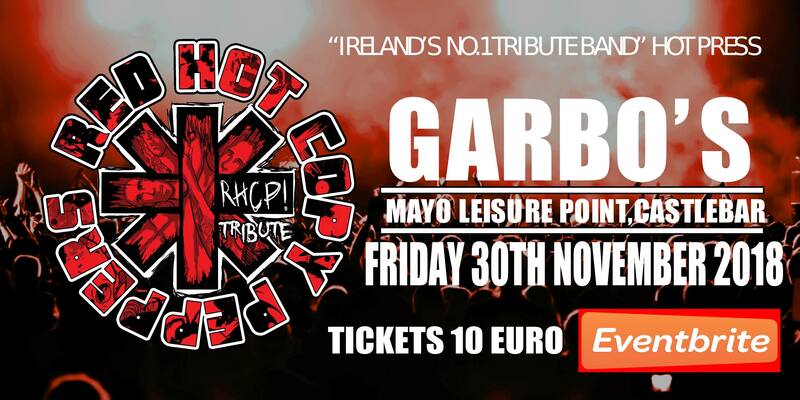 Red Hot Copy Peppers will be returning to Garbo’s due to their hugely successful gig in April 2018. Over 2 hours of RHCP hits comin at ya this November 30th spanning the 35 year career of California’s favourite sons! Such gems as Can’t Stop, Universally Speaking, By The Way, Under The Bridge, Aeroplane, Give It Away, Dani California, Otherside, Californication, Scar Tissue and many many more!